I think the Holy Spirit has made a crack in the wall of “sange” surrounding Mchengatuba. The first came at Mestard’s house. Mestard, Grace has told me again and again, is one of the “good ones.” On Sunday night the ladies from Canton and Watertown gathered at his house for a dinner. While they were eating the head choir director of Mchengatuba showed up. In short order he set out on an hour long speech of repentance. It was tearful, impassioned, and full of promises that he had seen the error of his way. He was not a member of the choir that came to the US but he had stood in solidarity with those who had told the lies. Now, after the sermons, he said, he has seen the falsity and he is ready to repent. One hour is a lot of repentance. The second crack in the wall came from Timothy. He called Grace’s house about midnight and said, he was sorry. He should have told the truth, and now he will. Grace told him not to bother her. If he wants to confess he should go to Rev. Hara and tell him he is sorry. I was proud to be her friend when she told me this. Next we did the same at Seke’s house. He too wasn’t in. His siblings told me they would give him the card. When I repeated the instruction the boy with card flashed his eyes at me to say, “I speak English, you Mzungu.” At Lusako’s no one answered the door even though people were home. I left the business card in the crack in the door. They worked well. A special meeting was called and gathered at Lusako’s house. Here Ephriam, Florance, Seke, and Lusako met to discuss the cards and the invitation. All of the choir was invited to meet at the church at 5:30 tomorrow night. The cards, the invitation, the presence of the ladies from New York. The speculation here ran rather wild. I know because there was an inside source and well . . . Lusako lives right next door to Grace. Malawi! These developments also prompted a few more threatening e-mails to Grace. She was in “trouble”. We heard about the trouble quickly. Florance convinced one of the mothers whose child attends the preschool opened by Sam that the school was in fact an orphanage I funded. Her tuition payments was a big scam. Orphans go there because of donors. Her child was being seen as an orphan. It worked. The mother pulled her child out immediately. It seems the cracks in sange have yet to reach the core. There may need to be more. 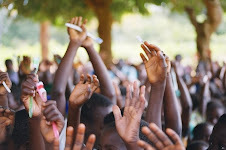 In July of 2007 fifteen Malawians came and electrified Presbyterian churches in the North Country. They sang twenty concerts and twice with the 100+ voices of the Northern Choral Society. I will never forget the concert at First Presbyterian in Watertown. The evening was electric and wild and culminated in a conga line that transformed our rather pristine sanctuary. Most of the choir members were young men and women in their late teens or early twenties. In their home church of Mchengatuba they are know as the “praise team.” It didn’t take long before they were part of our homes and hearts. One parishioner came to me in tears near the end of their tour. “I was frustrated with you,” she said. “We made a place for them to sleep at the church, but again and again they were sleeping in people’s homes. I didn’t understand until they were with us. They are our kids now. They are part of family.” Her words were true then and now. I had to make this argument with a sense of gravity and necessity. It was a tough sell. What sounded so simple was actually very complex. Upon their return one of the choir members concocted a story that Rev. Hara, their pastor who came on the choir tour to New York, was given $12,000, which he was supposed to split between the choir members. Now back in Malawi, she claimed, he had pocketed their money. Before they left the U.S., there were signs that a couple of choir members were looking for an angle on the funds that were donated at their concerts. Twice I had to explain to them that each one of them had received in the form of a plane ticket, accommodations, food, excursions, and gifts more than $4000 each. I tried to reiterate to them my pledge to the U.S. Ambassador to Malawi that I would not pay them money as that would break the condition of their visa. I conveyed to them my pledge to the customs officials in New York that in charging for the Northern Choral concerts I was not hiring the choir. I have been in Mzuzu now for one month and I have seen every member of the choir still living in Mchengatuba (Wezi, Ephriam, and Kondwani have moved away). But I have not fulfilled my intention of visiting everyone in their homes. And the reason is very simple: a home visit could be fuel for the fire. The fire culminated at two moments. The first was a mob. Sam Chirwa showed me the size of the crowd that surrounded Rev. Hara’s house when Florence Mahoney offer the lie: he has taken our $12,000. The space where the mob had surrounded their home would easily accommodate a few thousand people. When I tried to imagine what it would be like to have my house surrounded by a few thousand angry people the danger started to emerge. The second was a demonstration. Florence and Chimwemwe led the charge of a second mob to their house, this time taking the furniture from the manse and throwing it on the lawn. Telling the Hara’s they must leave. So the idea of simply stopping by for a pastoral call carried with it some danger. 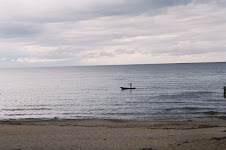 There is a powerful force in Malawi and it’s called, “sange.” In English it comes close to envy, jealousy, and greed. Yet it is a kind of hatred that fuels the most bizarre acts. Mchengatuba, I have discovered, struggles mightily with “sange.” With very little effort “sange” took a lie and nearly ruined lives. That the people who have perpetuated this tale often sit in the front pews of the church on Sunday morning should offer a glimpse of how powerful it is. I know the truth as do thousands of people in Northern New York. Many people know how hard it was to pay for all the expenses and how surprised everyone was that there was money left over after the choir tour was done. And it was printed in The Watertown Daily Times that all the proceeds were for the building of a new sanctuary in Mchengatuba. That is the simple truth. Tonight we are all supposed to sit down together. All the choir members have been invited with the elders and deacons of the church for a chat. I am not sure who will show up. I am not sure if this invitation will help or not. I do know I have one month left to dig deep down on this one. The ones who told the lies, the ones who let the lies be heard as truth, and the ones who told the truth are all quite clear. What is not clear is this: what will the community believe? Sange is really, really powerful. My sabbatical theme is abiding. Abiding, at first, conjured images of a happy place, finding a peaceful way of living. After quite a bit of reflection it has come clear to me that I am indeed abiding in the midst of this “sange.” And even though “abiding in sange” is neither happy or peaceful it is close to what Jesus was calling his disciples to do. It is close when you realize he said “abide in me” on the night before his betrayal, arrest, and then crucifixion. I think I am getting close to what he meant by “abiding”. When the dust settled the issue that rose to the top wasn’t the lie seven of the choir members told about the Reverend stealing money; it wasn’t the rumors about what was said in the U.S.; it wasn’t the sad state of the choir after all they had been given, how they had squandered an enormous blessing by clouding it with falsity; it wasn’t even the fact that all their foolishness had culminated in two mobs and denigrated the character of many with lies; when the dust settled, it was that all of this has been going on for a year. Most of the talking during our meeting was from the elders. All of the choir members who are still in Mchengatuba were there, including the two who didn’t corroborate the lie (Fatuma and Mestard). There were a few comments by the choir members. Mostly though, they were there to listen. Perhaps the most intriguing moment was when Chimwemwe’s father, an elder, spoke. Now this is a man who has orchestrated not just a few rumors and accusations against the minister and was the “adult” supervision hatching the plan to throw all of Rev. Hara’s furniture on the lawn. He spoke for about ten minutes suggesting that he had taken the role of peacekeeper, trying to reconcile the choir to Rev. Hara. His most bizarre claim was that the choir had incurred great expense on their trip to the U.S. so it was fitting that they would need funds to recover those costs. No one believed him. Just prior to this speech, Seke stood and spoke. He said, this problem has turned a good thing into a bad thing. The trip to the U.S. was like a dream and now we have spoiled it. For this he said, I apologize. His apology was not accepted. “Before you apologize to us, you must apologize to the Reverend,” was the sentiment of all. He said nothing more. This was Rev. Hara’s cue. Here was a man leading his seventh church, the clerk of his presbytery, father of eight, an unblemished record in his profession. When things got crazy and the lie was spread and the synod was asked to remove him, they stood by him. “If we remove the pastor, we will close the church,” was the answer from the church’s hierarchy. No more requests were made for his departure. At the end of the meeting I did see the real Malawi. After all the shouting and speeches, empassioned pleas to move on, to be better than this, or as one elder said, “pass the test” everyone shook hands. Even Chimwemwe’s father came and shook my hand and said, “thank you.” Now I have all confidence that this man will continue to cause all sorts of trouble. It will take more than $10,000 and a few months of an American pastor walking around to change his heart. But here he was shaking hands as if we can all work together. That, I have come to see, is Malawi. This is a village. There is really no place to hide and the long dance of being people who are a church will go on. One of the meanings of abiding is part of our slang, “I just can’t stand it.” To stand something is to abide in it. I was humbled with how little I wanted to stand for, how little foolishness I was willing to abide. Some might contend the absence of money creates the inability to live private lives so the Malawians must abide with each other. I don’t believe this. I believe, for good or for ill, they are a community. At the end everyone shakes hands. The Opportunity International Bank is there for people who are living in extreme poverty. It’s their motto, their purpose. In spite of this I was suspicious. Malawians I had spoken to expressed disdain that the rates were too high the terms too short for them. We went to the Mzuzu Branch which has been up and running for the last four months. The location of the bank is wonderful: it’s right in the heart of the business district of the town, not far from the central market. It was as if they were saying, we want to be in the middle of everything, where the people are. This was the exterior. The interior seemed to argue the opposite. There was a tiny waiting room with one window to a teller. One chair in the waiting room didn’t suggest a homey feel. In fact, it suggested you won’t be here for long so don’t get comfortable. The ladies were there representing the Widow’s Fund; I was there to offer interpretations. It takes a while to learn the nuances of a Malawian negotiation. For instance, a Malawian will say yes and agree to things they have absolutely no desire to agree to or to offer, but it is more polite to say yes. Usually it takes about three stabs at an issue, coming at it from different angles, before you can be sure that what is being said is what is really meant. It may sound strange or untruthful, but it is not intended to be. I told Linda Potter later that this was the point I thought we would be given a polite invitation to leave. Most organizations work hard to establish a focus and a set of goals, and Opportunity Bank is very much in this ilk. They are there for the establishment of small businesses that need a short term loan to improve their business. That they do this without real collateral or the markers a traditional bank likes to see, and that they offer business training with their loans that far outweighs the value they receive in debt service is what makes them a radical and promising element. But they are not there for the person who just wants some money or for the people who are just getting started. And that, unfortunately, is where our widows can be found. I told Linda, “this is when I thought they would start talking about their goals and giving us a sense of ‘if you want to work with us this is what we offer,’ but they said the opposite.” They did. They said, we want to work with you. Now it could be that we are taking all the risk and they are getting a very nice screening of future clients, but such things are not always enticing enough for a company to work outside their box. “And the widows of Mchengatuba are outside the box,” I told Peter and Wilson at the end of our meeting. Leaving the meeting Wilson offered to come and meet our groups we have identified as potential “clients” for micro lending. This was big- he wanted to come to come to Mchengatuba and meet the widows- this was probably the biggest step we have seen with the fund so far. I love being wrong when its something like this. And I was wrong. Later that evening Sam Chirwa told me, “I don’t think they would have invited Grace and me to the big conference room.” “Partnership, Sam. Partnership seems to open doors.” He smiled. Micro lending sounds glorious until you start to walk through places like Mchengatuba and you see the complexity of extreme poverty. When I met with the women who want to open a chicken and egg business they were very transparent about the dangers that would arise. Getting along with each other, profit sharing, securing their merchandise from the constant threat of theft, and on and on. Despite this, though, they are hungry for a chance. And their chance is $700 U.S. for two years. This is what we will try to develop for them next week. The interest rate is yet to be determined, but it will be lower than the 12% for four months the Opportunity Bank would have offered them. It may not sound like a lot, but it represents two years of income for the average Malawian. Take your annual salary, double it, and think about trying to repay it in four months. That’s daunting. I was excited when Katrina volunteered to preach. In four years of doing this, she is the first layperson who said, “preach? I’ll do it.” That was nice. What was better was her sermon. She preached like a Malawian and then in pure revival fashion had them demonstrate their understanding of the sermon with an act of devotion. She asked Rev. Hara if she could stay. He said yes. I had shared with the Widow’s Group the experience with “sange” and how it is so pervasive in Malawian culture. There is a sense of wanting others to fall who have gained so to equalize them, return them to their place in misery with everyone else. Mchengatuba, I theorized, seems unique as there are so many layers here for sange to take hold. Katrina took the same passages and preached a metaphor of planting seeds and caterpillars to butterflies. At one point she said, “do you have butterflies here?” I leaned over to Rev. Hara and said, “isn’t Malawi known as the ‘Butterfly Capital of the World?’” He nodded. Unless it was rhetorical she had stumbled onto a deep point of contract. After the first service Lusako made a point to come up to me and say thanks for the message. Man, Malawi never disappoints in the keeping you on your toes. In the same way sange, which is bad and evil and destructive has unwittingly created a door to enter the heart of this hard scrabble shanty town which is blessed and cursed with a young church. In the early ‘90s as Banda was divesting himself of power as a 30 year dictator, Dr. Fred and Nella Stone came to Malawi. They came at just the right time. One of my side projects this summer has been to scout the lay of the land for the presbytery of Northern New York as they are set to reestablish their partnership with the Synod of Livingstonia in 2009. A few days ago it hit me, the presbytery just never got a good break. And it was nothing more than timing. They started with a joint business venture that went bust and tried to develop their partnership with the North at a time when politically, economically, socially, and even physically Malawi was at it’s lowest ebb. They came at just the wrong time. In 2003, I heard Rev. Nkhoma preach in Peru, New York. His message was very simple, things are getting very crazy. The Libyians are trying to steal the election and Muwezi is trying to rewrite the constitution to be another Banda, but this time turn Malawi into the kind of place we see in The Sudan. Not good. Sitting in the pew I distinctly remember thinking, “are you out of your mind? A small presbytery in Northern New York is going to wade into an African presidential election to thwart the designs of radical Islam? Not a chance.” I’ve said before and will say again, I am now ready to say, do you need me to campaign, give money, politic? I am ready for all the above. What a difference five years and four trips to Malawi has made. In 2009 the Presbytery of Northern New York will send a group to “discern” whether or not to renew its partnership with the Synod of Livingstonia. This could be the best of times or the worst of times. The determining factor will be how much it wants to help the North fight off the influence of radical Islam in Africa and who the new General Secretary will be. But if it comes unprepared to stand in solidarity with the challenge Libya and others represents, its overtures will be met as nothing more than cash. And you want to be much more than cash here. You do. At the home of Mr. Mkandawire this became flesh. “We pray for you since 9/11.” This is good, but what is better is the Malawians in the North do more than pray. They work to protect their country from becoming the place where the next terrorist cell emerges. That’s a lot of hard work. Next summer the presbytery of Northern New York will send a group to “discern.” I hope when they come they have a good idea of the stakes. For in 2009 the stakes will be high. The stakes are so high I will encourage my congregation and others in the presbytery who are deeply invested in Malawi to negotiate partnership agreements of their own. The reason: an organization that meets four times a year with spotty attendance of its members might not be prepared to move as quickly and as intentionally as our “partners” might need. This will not prove popular on the U.S. side, but so be it. For me it’s a question of timing. Now is not the time for bureaucratic slow play. I believe Malawi will grow and human rights will prosper and people in extreme poverty will rise beyond it with democracy. In 2009 Malawi will choose if this is the course it will take. What a time to be in the midst. In such a moment its good to remember: timing is everything. It was my third trip to Kabwanda. Two years ago Grace took us out to see this remote village as way of understanding the way the hospital must go to the people in order to combat malaria. Two hours into the bush and the car getting stuck in a ravine let me see the reason hospital must go to the people. The latest loss, other than the pastor, is the headmaster, Kenneth. Kenneth has been reassigned and there is a new man. Where Kenneth was very down to earth and personable, the new man headmaster is reserved and somewhat formal. Formal seems a bit strange in Kabwanda. We traveled out with the widow’s group from the US. Upon our arrival hundreds of children surrounded the cars. One kid caught my eye: he was wearing a small box as a hat. Malawians carry every thing on their head, so a box on someone’s head wasn’t strange. What was strange was that the box was turned upside down. After the tour of the new clinic where everyone enjoyed the sight of the weighing station for infants we headed back to the school for a time of song and dance. After the speeches there were poems and women’s dances. Almost all the ladies at one point or another were brought into the circle to dance with the women of the village. The drummers would slow between each song and then pick up a new rhythm, this rhythm would be matched with a new step. There would be a moment of chaos as our ladies would look for a leader to follow as the new direction started. The highlight of the dancing though was the Ngoni dances we had learned to enjoy from the choir. The boys came out in the warrior dress and started singing the chants that, at least for me, seem ever in my head. Rev. Hara jumped in and joined the boys and kept perfect pace. After he affirmed the depth of the challenge and spoke about how it related to our recent challenges with the choir, I asked him this. “It seems that Mchengatuba is unique in that when I go to the bush, like Kabwanda it’s ‘same, same, same.’ When I go to the neighborhood where the McGills are at it is ‘same, same, same.’ But here in Mchengatuba there is a lot of difference. There are some with very little, some with a little more, and then some with a good deal more. Do you think that makes sange more powerful here? Yes. It is more powerful here. The conversation then drifted back to the church and its dynamic. The church like the village itself is complex. It is a young congregation, but it has a seasoned pastor. Rev. Hara served six congregations before this one and he was not swayed as easily as some would have thought. Mr. Chirwa related a session meeting where some of his detractors aired their grievances (mainly that he wouldn’t give them the roof money). “When they were done,” and at this point Sam’s dad offered the dialogue in a great impression of Rev. Hara, “I’ve very much enjoyed your talking. You talk and talk and talk.” I can see Norman saying just this. He went on to describe the conversations Norman has related to him regarding our time. Norman and I have spoken about the way you must see the church as not your own, but at the same time stand firm for what you believe is right. Doing what is right for the church is not always popular or serves the interests of people who feel entitled that some part of the church be theirs to control or be to their benefit. “That is why I must visit every family.” He nodded in agreement. It would be very easy for the sange that swept some of the choir members after their return could fall back on them in spades. In Malawi, envy is not just wanting what someone else has it is wishing them harm because they have you want. Whatever happens I am finding sange to be quite a window. A wise man once described grief as relearning the world. Well, no one has died- that is the good news, but I feel like I am relearning the world. When you move to a new town you need to learn the roads and major thoroughways and what not. Here I needed to learn how to drive. I’ve got the roads down. There are not that many. I am even learning the spider web of Mchengatuba and in our drive out to Kabwanda I was proud that I remembered the way. It’s not directions I needed to learn, its how to drive in the midst of madness. Tonight I told Mr. Chirwa, I am getting the intersection after the dambo down. “You need to watch the bike taxis to see if they are going to look before turning. That’s the key.” He smiled in a way that said I was actually learning. But it’s not just the bikes, it’s the people, and if you are driving in the afternoon, it’s the kids getting out of school. A little later it’s the people getting out of work. And then at six it’s all the people coming home late from work because they went shopping. Ten o’clock in the morning is the safest time to drive. Other than that, you are on your own. Shopping here for Kathy is not just finding the right store; it’s learning a whole other way of finding what a family of nine needs. I love the central market, but that’s because I take my camera not a shopping list. Add to this she isn’t shopping for what she will make, but what Mr. Nyasula needs. It’s not a list really, but a whole new relationship with food and commerce and people. The more I have reflected upon I John and what he meant by abiding in Christ, the more I am convinced that he was calling upon early Christians to relearn their world. They were being thrown out of the synagogue by people they thought they knew, hated for proclaiming a message of love, and trying desperately to understand what it meant that Jesus was alive after he died. These three changed everything. With them they lost their culture, their safety, and any semblance of an order. Abiding, by its definition, is trying to rest in a foreign place. Abiding isn’t about being at home, but finding the sense of home when you are lost, traveling, or otherwise displaced. To abide is to be at peace when you are a stranger or estranged. I wish I could say this is why I chose to come to Malawi, but its not. I thought abiding was about not leaving home. Trying to find the opposite I stumbled into what it actually is. This is what I have come to call the Holy Spirit: finding your way home while being lost the whole way. Stumbling into this place we have lost our culture, often times the feeling of ease which is what we feel when we are safe, and any notion of order. This is where the people were at when John was speaking and he said, abide in God. I asked God that I would understand what abiding means. You must be careful for what you wish. Now here is the good news. Abiding is for a time. That is the really crazy insight that has took hold this week. Abiding in God is not forever. When John records Jesus as saying, abide in me, he isn’t saying move in and stay. He is staying weather the storm in me, find refuge in me; pitch a tent, but don’t build a house. The writer of Ecclesiastes says, the eternal has been put inside of us, but we don’t understand it. I read “I abide in me” and sense it was Jesus I immediately jumped to forever. What is eternal is tough to grasp and where it can be found is tough to find. Abiding is all about getting through the problem. Each of us has had a moment where you needed help and then you say, “I am fine now, I can do the rest.” Abiding is the moment where you needed the help; it’s not the rest. We can recast the words of Jesus in John to be this: when you need to abide, abide in me. This is what we implore our friends, if you need something, call me. And this is where abiding starts to become clear and really dicey. It ceases to be a kind of “serenity now” place we just find, or a kind of magic power to endure. It’s all about friendship. And it’s about trust. When people lose the ones they love the weight of the loss is poignant in friendship and trust. When you have defined the world with someone, through someone, and then you lose that person, you need people to help you relearn the world. In the end you will need people who will help you abide in the midst of grief and come out on the other side. Without being too reductionary: you need a friend you can trust. If you read John 14-18 you find a lot about friendship and trust being spoken by someone who would die in 24 hours.